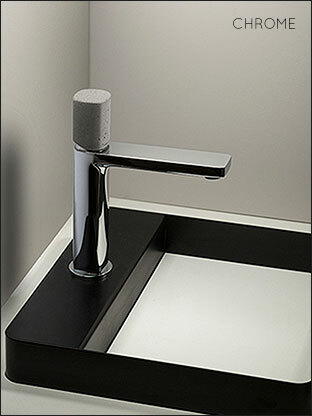 This contemporary styled monobloc basin tap shown in the main picture is in a brushed stainless steel finish but is also available in polished chrome. 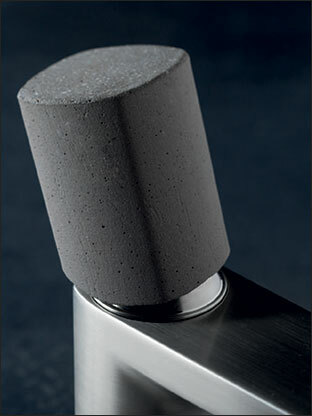 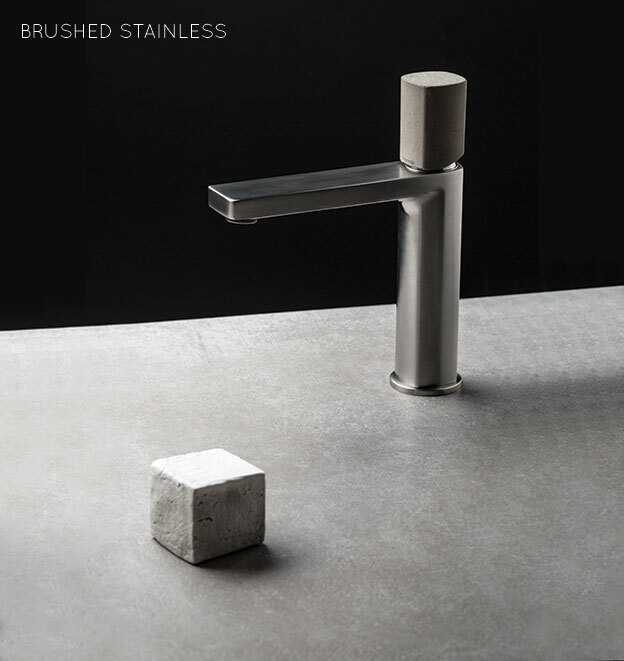 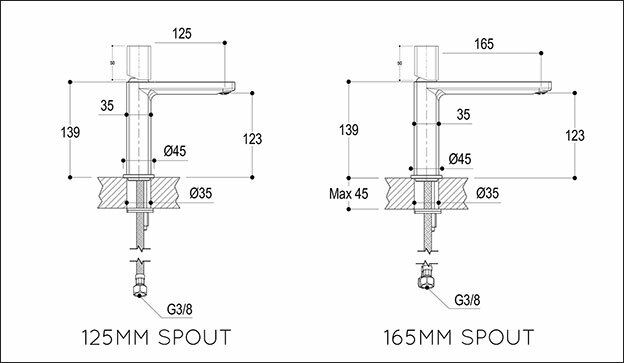 This modern mixer tap has a unique real concrete handle which is stain resistant treated and an exclusive finish within the bathroom industry. 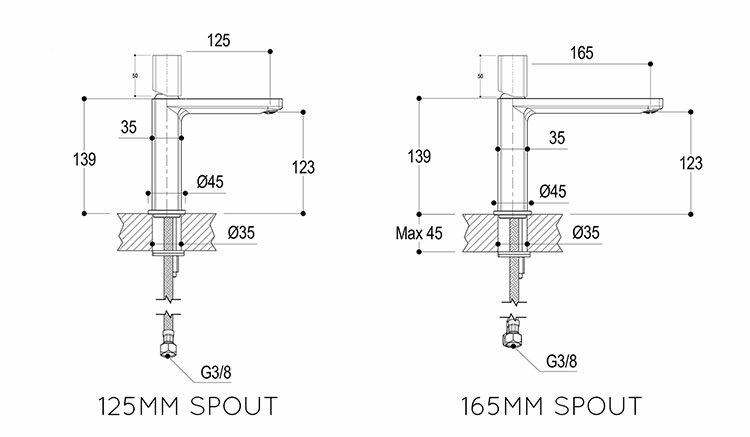 Styled and made in Europe ensuring lovely quality, beautiful styling and European reliability.